When I was growing up, my parents’ general policy was to only make rules about things with long-term consequences. I wasn’t supposed to get a tattoo before I graduated from high school, for example, but I could dress myself and cut my hair the way I wanted. Over the years, I made some pretty cringe-worthy fashion choices, but with three boys to raise, my parents preferred to spend their energy getting us into college and keeping us out of jail. It (mostly) worked. 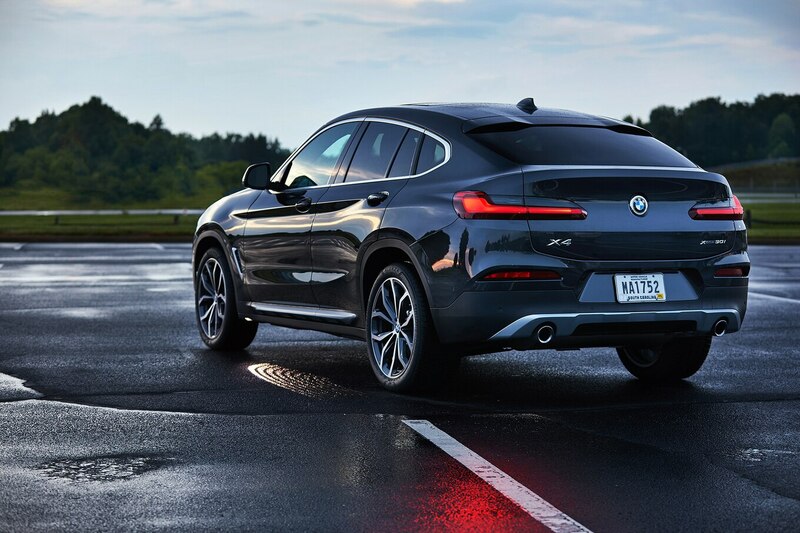 When I drove the 2019 BMW X4 recently, I couldn’t help thinking about my parents’ old rules. I don’t understand the appeal of coupe-like crossovers, and still, I have yet to see one I think looks good. A decade from now, the X4 will probably look about as cool as a pair of baggy cargo shorts or an unbuttoned dress shirt worn over a T-shirt. But coupe-like crossovers are hot right now, so why get worked up that BMW’s gotten in on the trend? 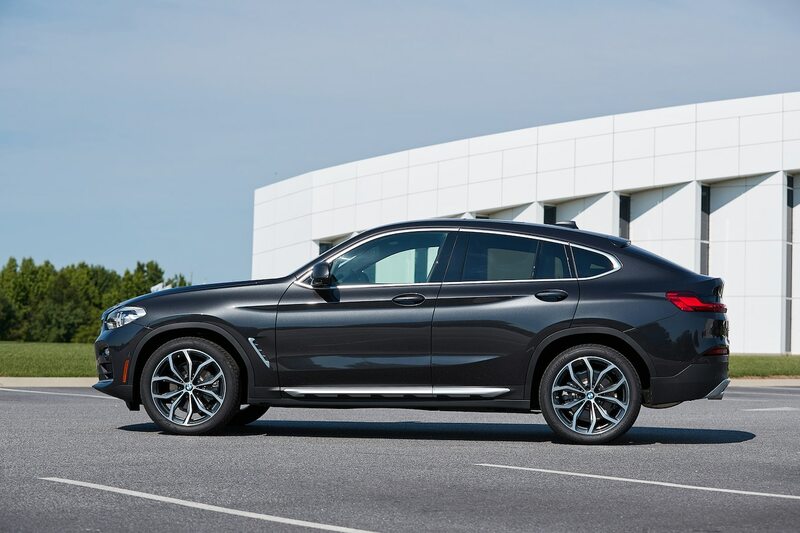 Compared to the low bar that was the previous-generation X4, the 2019 model is certainly an improvement. It’s longer, wider, and slightly lower, with a stiffer chassis, lower curb weight, and a more aerodynamic shape. The designers also did a better job of integrating the fastback roofline with the new X3’s front end. Although the old version looked cobbled together, the redesigned model has a much more cohesive exterior design. Inside, the X4’s cabin looks like it was pulled straight out of the X3, with only a few accommodations made for the sloping roof. Considering how cheap the first-gen X4’s interior felt, that’s a good thing. 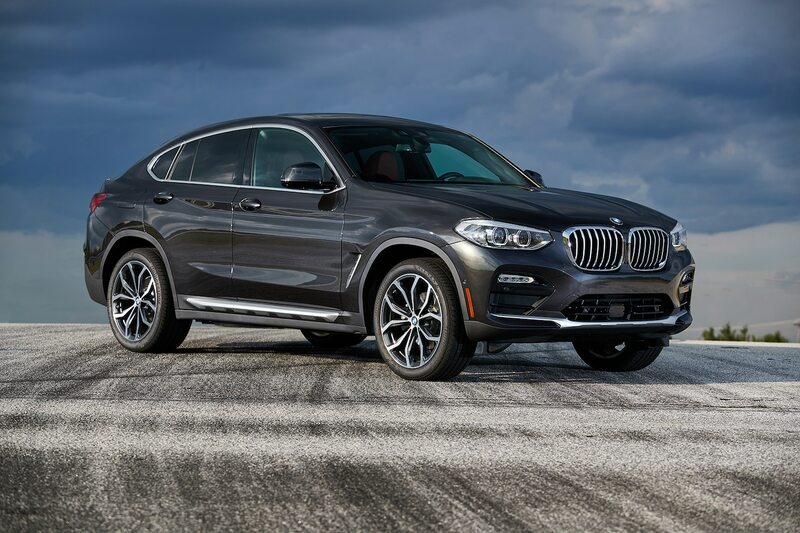 BMW used significantly nicer materials this time around that, when paired with the cabin’s more modern design, make the X4 feel much more luxurious. That said, the interior isn’t quite up to the standard set by the X4’s most direct competitor, the Mercedes-Benz GLC Coupe. 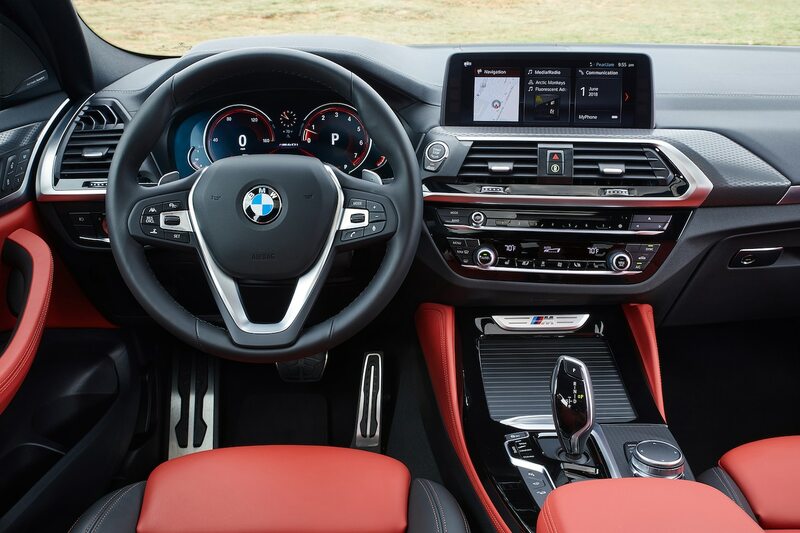 The standard 10.3-inch touchscreen isn’t integrated into the center console like the screen in the last-gen X4, but because it’s mounted higher on the dash, the new system is easier to see and more intuitive to use. Navigation comes standard, as do sports seats and a panoramic moonroof. The multi-color head-up display is 75 percent wider than before and projects an impressive amount of information into the driver’s line of sight. Several safety features including forward collision warning and automatic emergency braking come standard, but buyers have to pay extra for adaptive cruise control, lane keep assist, and even blind-spot monitoring. Considering the X4’s coupe-like roofline, the designers also deserve credit for giving rear passengers more room than you’d expect. There’s one more much-appreciated inch of legroom than before and enough headroom to accommodate most passengers. With the rear seats down, the 18.5-cubic-foot trunk opens up to offer 50.5 cubic feet of cargo room. That’s not quite as much as the GLC Coupe has, but it’s a small improvement over the outgoing model. Under the hood, buyers get their choice of two engines. 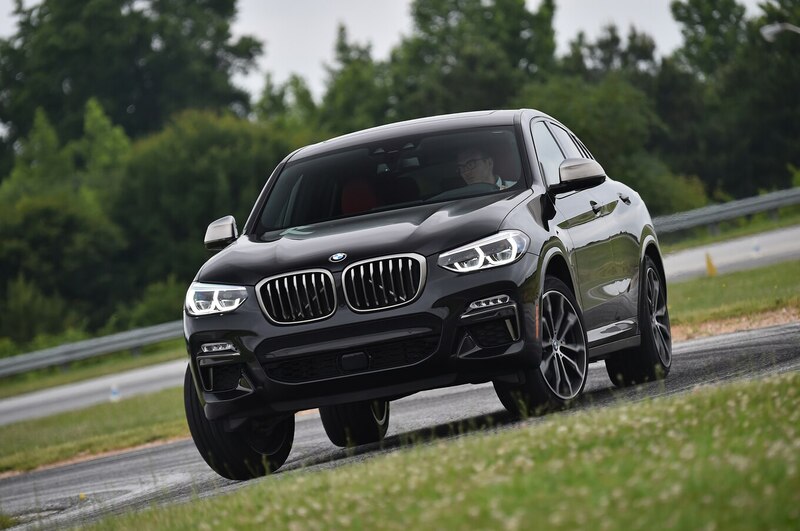 The $51,445 X4 xDrive30i uses a twin-turbocharged 2.0-liter I-4 good for 248 hp and 258 lb-ft of torque. Spring for the $61,445 X4 M40i, and you get a turbocharged 3.0-liter inline-six that makes 355 hp and 365 lb-ft. Both engines send their power to all four wheels via an eight-speed automatic transmission. The 2.0-liter doesn’t feel especially quick, but it should be more than adequate in daily driving situations. Even though it’s the base model, the X4 xDrive30i will also hold its own on a winding back road. It’s no sports car, but with a standard M Sport suspension, it’s competent enough in the corners. Especially in Sport+ mode. Anyone with cornering on their mind, however, will want the X4 M40i. That extra 100-ish horsepower makes it significantly quicker than the four-cylinder model, hitting 60 mph in a claimed 4.6 seconds. Add in the larger brakes, adaptive suspension, and the optional M Sport differential, and you have a surprisingly enjoyable corner carver. The crackling sports exhaust is just a bonus. The brake pedal is less firm than I’d prefer, but the brakes themselves are strong, and the tires have plenty of grip. The paddle shifters deliver quick shifts, but the transmission programming is also smart enough that you can usually leave it to its own devices. Inflate the adjustable bolsters, and the seats do a good job of holding you in place, too. And although it initially wants to understeer, if you really push it, you can even hang the tail out for a well-controlled power slide. The X4 M40i wouldn’t be my first choice for track duty, but it offers the kind of hop-in-and-go fun that would make errands more enjoyable and a quick trip to the mountains exciting. When you need a quiet, comfortable commuter, Comfort mode is a button press away. No matter how sporty and well-rounded it is, some people will still dismiss the X4 as just an uglier, less practical X3. That’s fine. The X4 isn’t for them. But the fact that something isn’t for everyone doesn’t mean it isn’t for anyone. Buyers who like the X4’s styling should enjoy the driving experience, too, and those who don’t can still buy the X3. Besides, if trends change in a few years, it’s a lot easier to replace a car than it is to remove a tattoo. The post 2019 BMW X4 First Drive: Fashion First appeared first on Motor Trend. After The Rock’s headphones, what other products should celebs release?